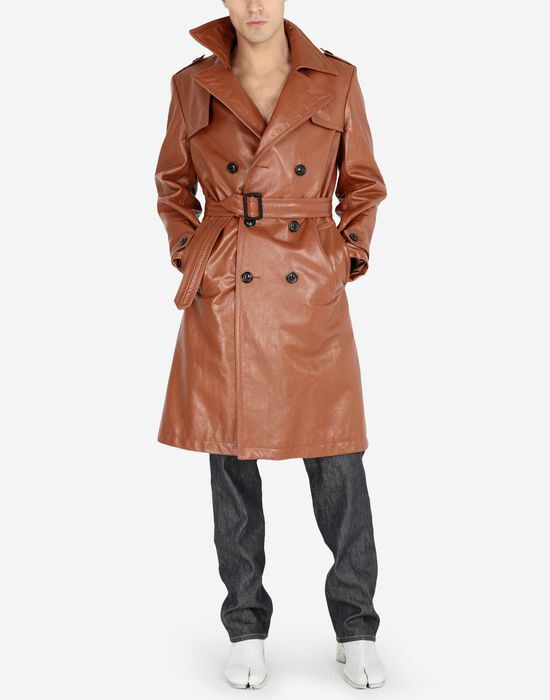 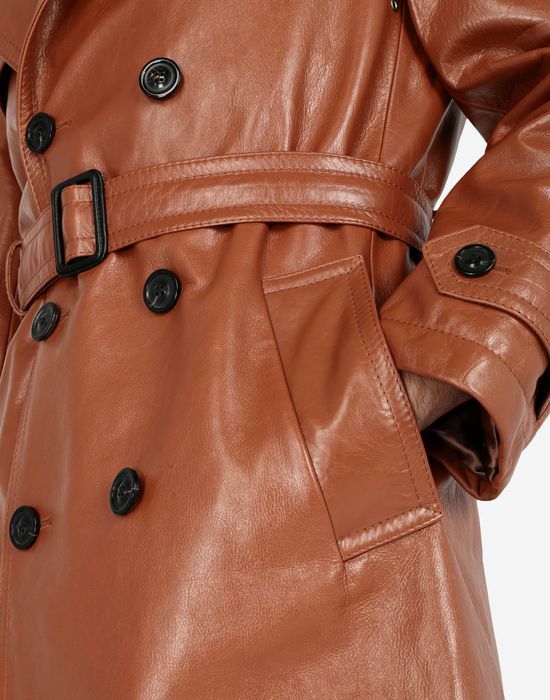 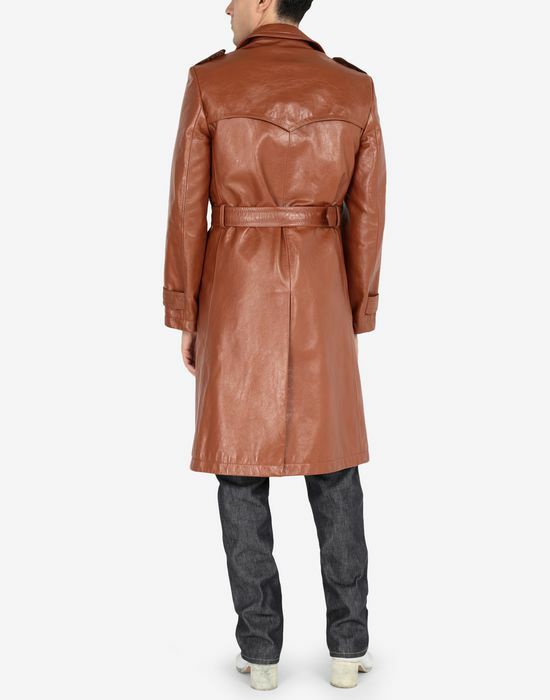 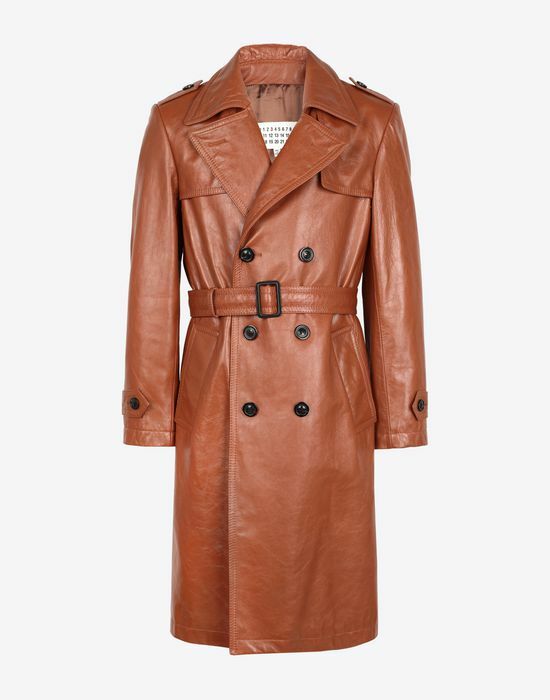 Brown 'Replica' trench coat in leather. 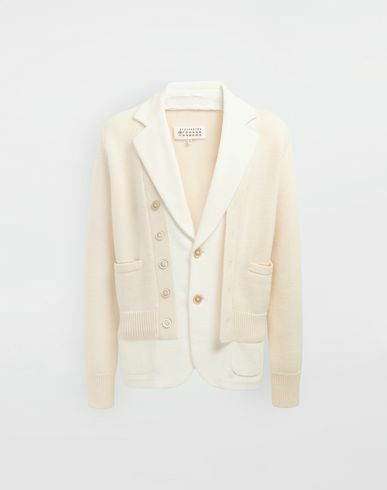 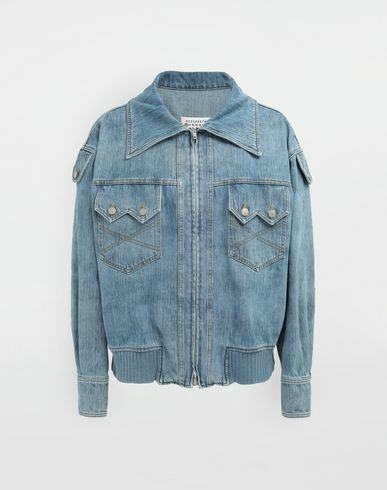 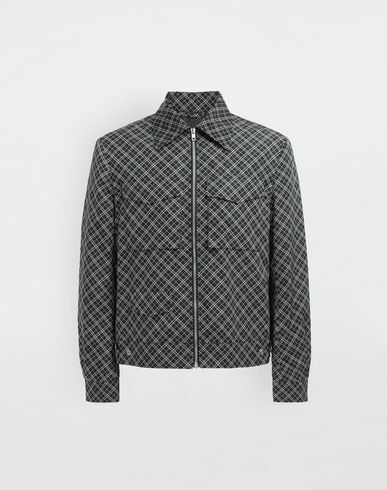 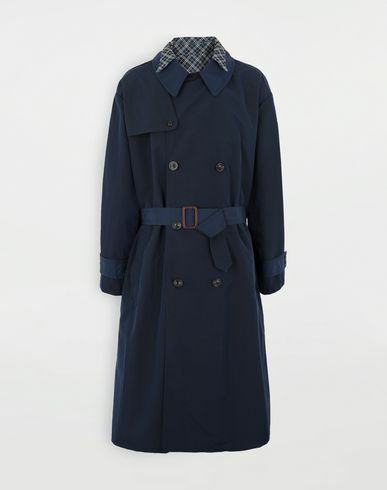 This coat is belted at the waist, double-breasted and features two front slip pockets. 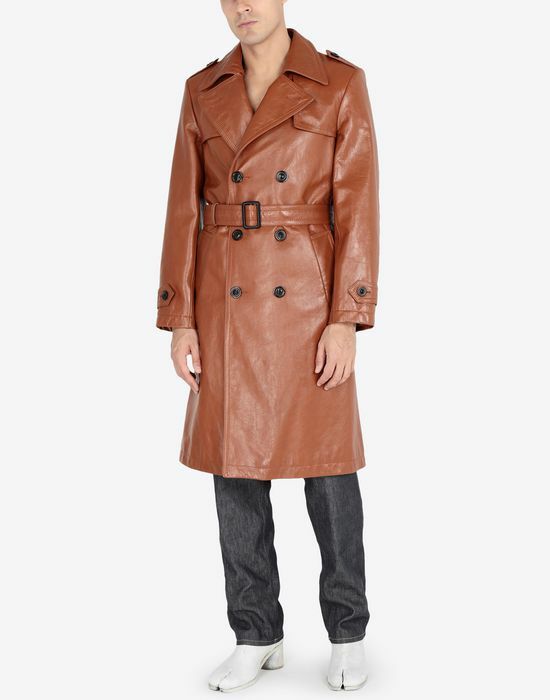 The coat hits just below the knees. 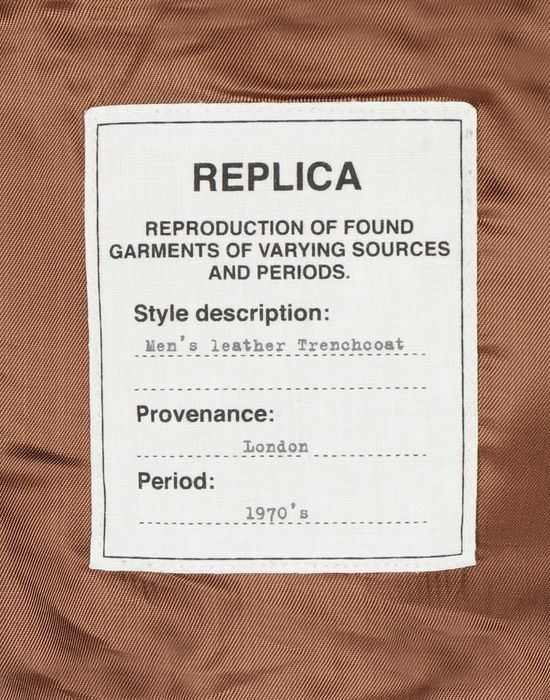 The Maison's 4 iconic stitches are exposed on the back.